GayWhistler Ski Week: WinterPRIDE Mountain Guides - Join our Guiding Team! WinterPRIDE Mountain Guides - Join our Guiding Team! If you are at least an intermediate skier or rider, and are familiar with Whistler Blackcomb, you could be a guide during WinterPride. Please read the details below, and if you think this is for you, just get in touch! Remember – OUR # 1 GOAL IS SAFE FUN FOR ALL! WinterPride is Sunday, January 30 through Sunday, February 6. GUIDING IS MONDAY, JAN. 31-SATURDAY, FEB. 5. Our traditional program continues this year meeting between Blackcomb and Whistler. This year we'll be able to get back to Creekside! ATAC stands for All Terrain, All Conditions. This is going to be the new name of our experts-only program. If there are enough women for a group, they will once again have the opportunity to ski or ride in women-only groups by meeting at specific women’s guiding signs. Obviously not all will take advantage of this, but we want to offer this service to help continue to build the women’s program. Since we have a much better understanding of our day-to-day needs, scheduling will be specific this year. We will, of course, do the absolute best we can to accommodate your schedule. BTW, we already know we need you on Thursday, Friday and Saturday! LOL! 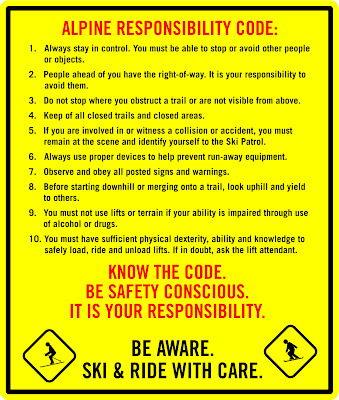 We ask that all guides, volunteer a minimum of 2 days. And our preference is that those two days include either Thursday, Friday, or Saturday if possible. We have new rules this year. PLEASE READ CAREFULLY. If you guided and received training last year, you DO NOT need to attend on-snow training this year AS LONG AS you attend the Sunday, January 30 guide meeting/party that will be held on the evening of Sunday, January 30 in the WinterPride hospitality suite area. If you can not make that, YOU MUST attend one of the on-snow training sessions either Saturday, January 8 or Sunday, January 30. The only exceptions are Whistler Blackcomb ski instructors and volunteer guides. If you did not guide last year, you will need to attend on-snow training. Please don't ask for an exception - I can't make it. This year, there are three distinct positions in the guiding program. 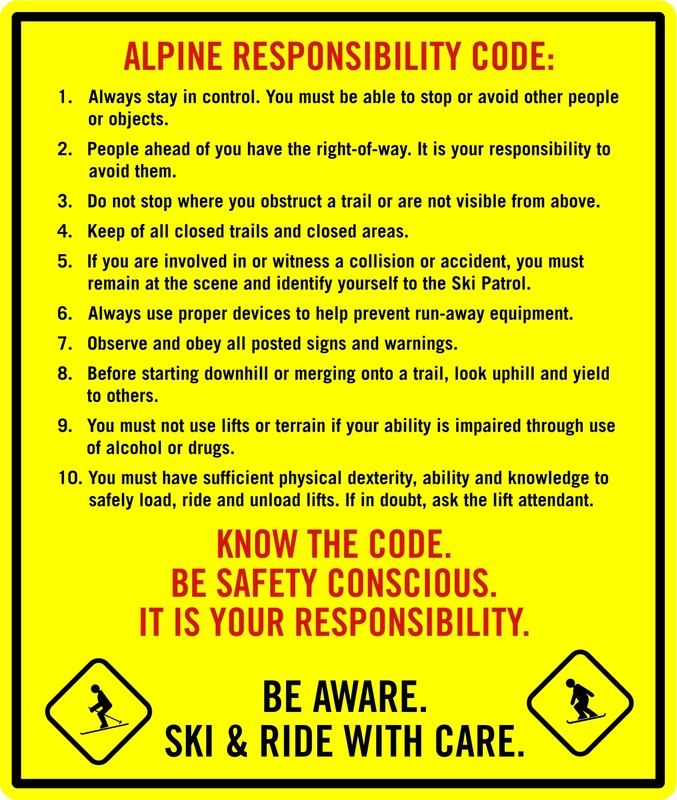 Guide - Responsible for safely guiding WinterPride groups of varying ability. Sign Master - Responsible for strategically placing signs in the Go Zone. Pod Leader - Responsible for greeting and interviewing guests to determine the best group. You will coordinate guest assignments for a specific level or program such as green, black, women's program, ATAC!, etc. You will also be responsible for getting guest counts for each group and turning them into John. - For each day you guide you will receive 2 volunteer coupons to be redeemed as Prize entry vouchers or exchanged for WinterPride events. Some restrictions and limits may apply. Monday, January 31 through Saturday, February 5, daily guiding. If you know of anyone that would be a great guide, please have him or her contact me via email with the required information. I look forward to skiing and riding with each and every one of you, and truly appreciate your help to make WinterPride guiding a whole lotta fun! I will send out regular information as we learn it. 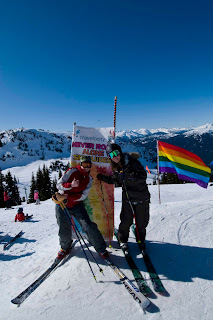 In the meantime, keep your eyes on www.gaywhistler.com for news and information.